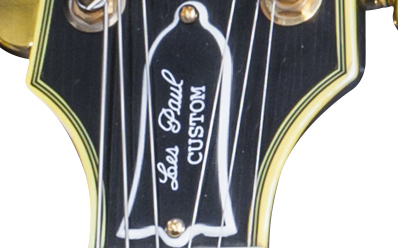 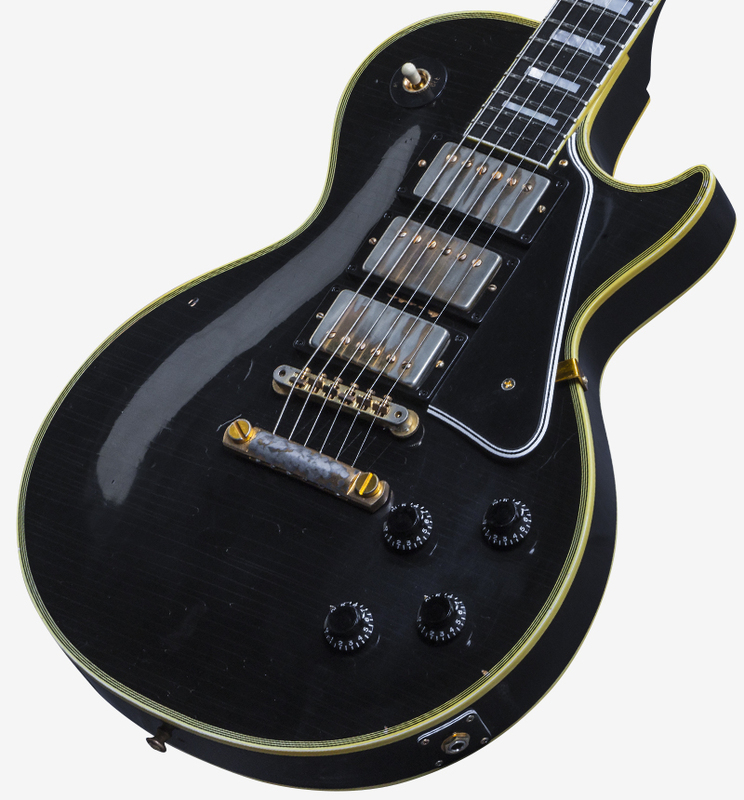 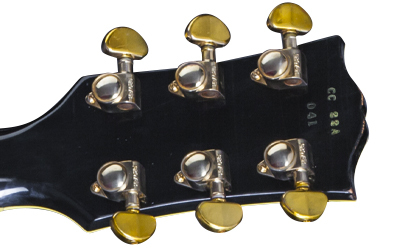 A Hand Crafted Replica of A Vintage "Black Beauty"
Gibson Custom Introduces Collector's Choice #22- Tommy Colletti's 1959 Les Paul Custom "Black Beauty", a very precise replica of Tommy's original featuring True Historic Finish processes and build techniques. 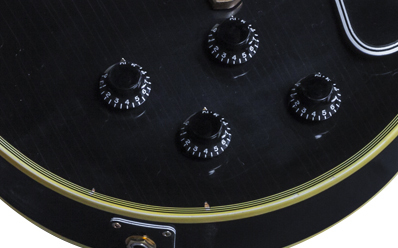 An authentic vintage ownership experience delivered with amazing attention to detail in its craftsmanship, tone and materials. 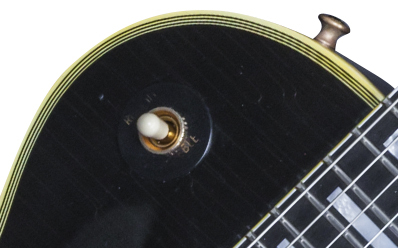 Neck and Dish Carve Digital scanning and analysis means we've captured every critical curve and angle of the original. 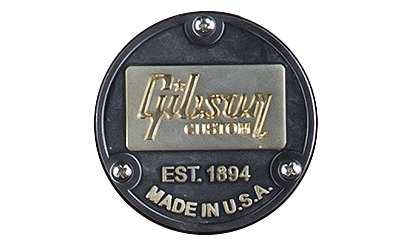 True Historic Finish Like a vintage Gibson, the finish is brought to life by hand, creating a lush depth and beauty. 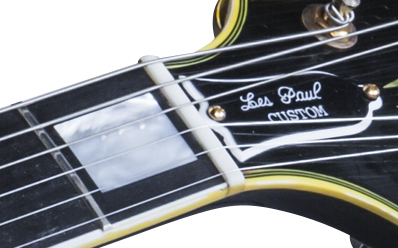 Hand-Aged Hand aged based on the original guitar to replicate its unique character. 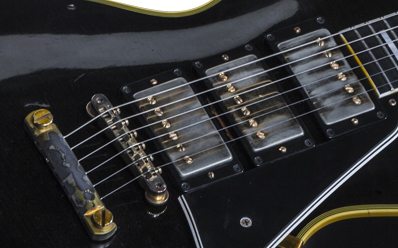 Custom Bucker Pickups Custom wound Custom Buckers capture the original's classic Black Beauty tone. 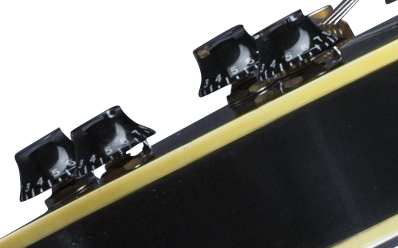 Hand Rolled Fingerboard Binding The comfortable in-hand feel will make you think you're holding a guitar built in 1959. 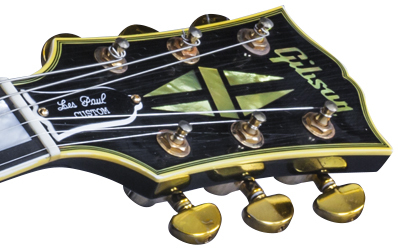 Hand-Aged: Matches the Original's Gently Worn "Vibe"
Dimensions: Large: 2.921 cm x 1.7018 cm / 1.080" x .875"
3.937 cm x .6096 cm / 1.375 x .155"
Now that Gibson's late-'50s Les Pauls are the most desirable guitars on earth, it's all too easy to forget that Gibson had an entire catalogue of different models at the time, many of which were much more commercially successful than the eventual undisputed "holy grail" of electric solid body guitars. 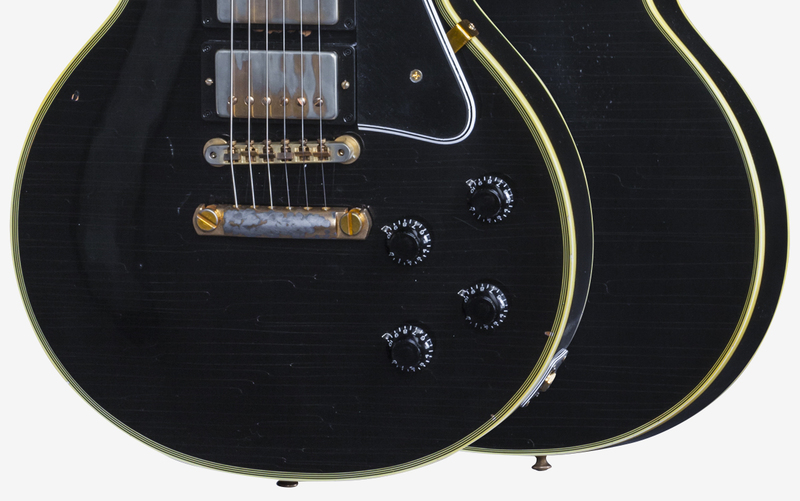 Gibson Custom's latest addition to its Collector's Choice series is a bold reminder that there were absolute gems being handcrafted by Gibson in '59, and that they didn't all have a sunburst finish and figured maple top. 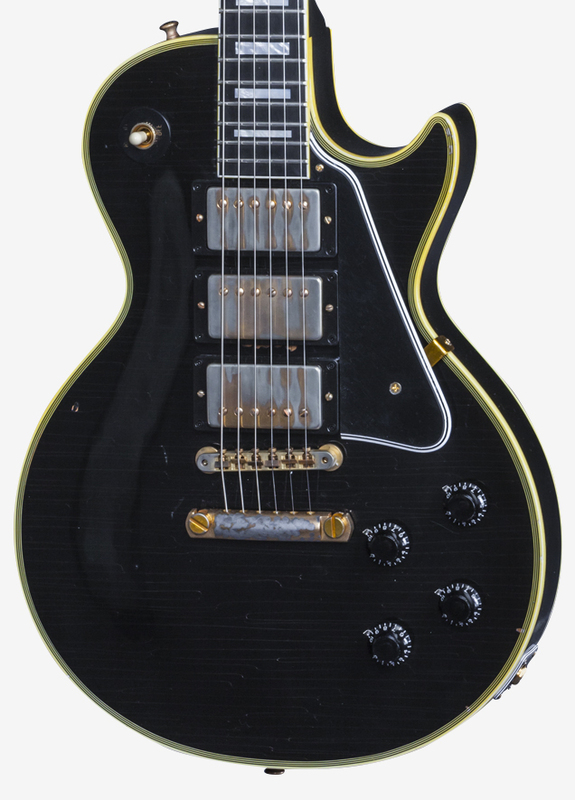 Introducing Collector's Choice #22 Tommy Colletti's 1959 Les Paul Custom "Black Beauty", a very precise replica of the original owned by Tommy (owner of The Music Zoo in New York and longtime Gibson Custom Shop Dealer), featuring True Historic Finish processes and build techniques. 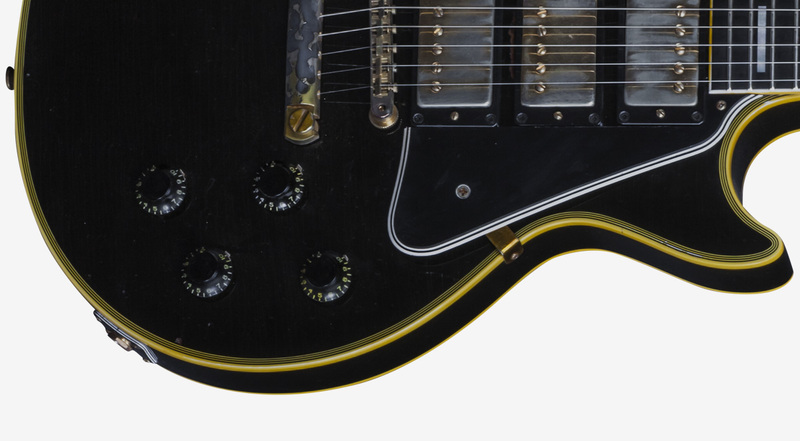 Each one of this very limited run of guitars (up to 300 worldwide) has a True Historic Vintage Lamp Black finish and sports double-carved and hand-sanded top and neck profiles taken directly from the original via digital scanning. 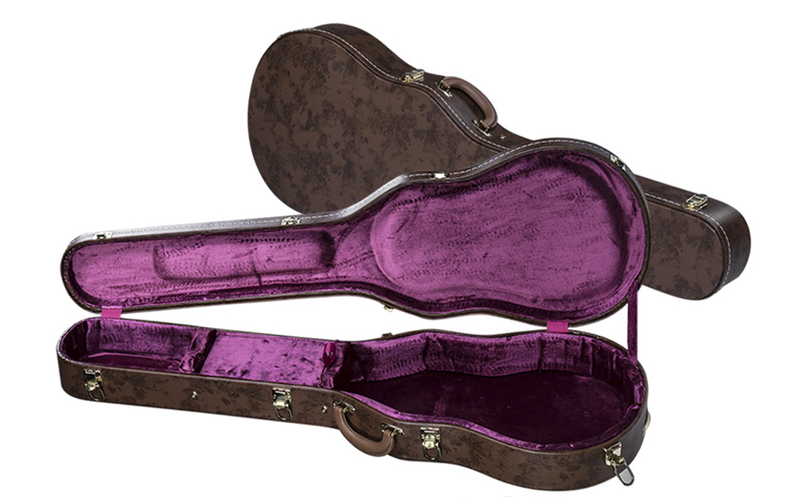 Coil Dimensions (per coil): 6.6294 cm x 1.7272 cm x .9525 cm / 2.61 x.68 x .375" 6.6294 cm x 1.7272 cm x .9525 cm / 2.61 x.68 x .375" 6.6294 cm x 1.7272 cm x .9525 cm / 2.61 x.68 x .375"
Pole Piece Position from Nut: 47.3075 cm / 18.625" 53.50 cm / 21.065" 59.7 cm / 23.5"
Slug Dimensions (diameter x length): .4826 cm x 1.24206 cm / .190 x .480" .4826 cm x 1.24206 cm / .190 x .480" .4826 cm x 1.24206 cm / .190 x .480"
Magnet Position from Nut: 48.1965 cm / 18.975" 53.2675 cm / 20.975" 58.36 cm / 22.975"
Magnet Dimensions: 6.35 cm x 1.27 cm x .3175 cm / 2.5 x .5 x .125" 6.35 cm x 1.27 cm x .3175 cm / 2.5 x .5 x .125" 6.35 cm x 1.27 cm x .3175 cm / 2.5 x .5 x .125"